We keep enjoy experimenting. Experimenting to create new type of designs, find issues, open new exciting features, check new ways to test the circuit Tree designs. We have a lot of capability to churn and mine new embedded designs using so many controllers, peripherals , placement options. So how do we check so many designs to check if they meet circuit tree quality goals? Randomly choose peripherals that can be connected to it to generate design. The number of peripheral selected are random. Randomly select applied voltage options. It can be through custom voltage adapter or through the battery select options. Randomly select board file through dxf file and does auto placement of components. Only the files where the part placement is possible the file picture is taken and displayed. Check if the symbols and footprints are being exported correctly on the library. Check if all the cad design can be generated without issues. Now we invite you to be the judge of the designs created with circuit tree. Check the github directory to see our design listing and let us know if you are able to find design errors. 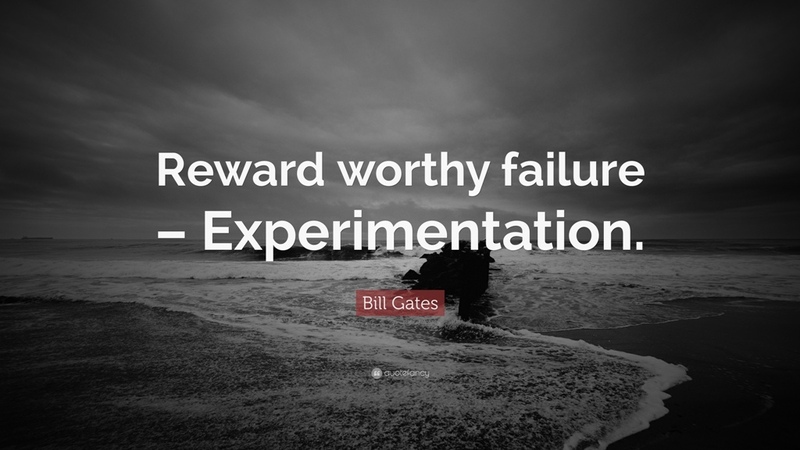 Then we would know if the experiment helped us. This entry was posted in Capability Test and tagged altium, cadence, eagle, github, layout, schematic on September 28, 2017 by Makarand Kapoor. 1. 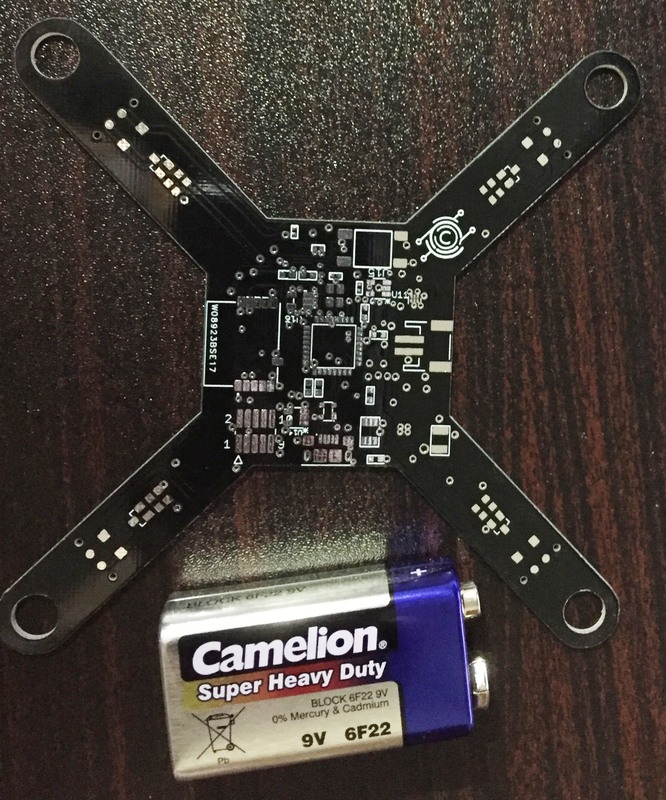 Create a drone board which can fly while being controlled from mobile bluetooth. The frame of the board would be a PCB where the Motors would mount. 2. The drone board should be powered by a battery and should have battery charging capability. 3. 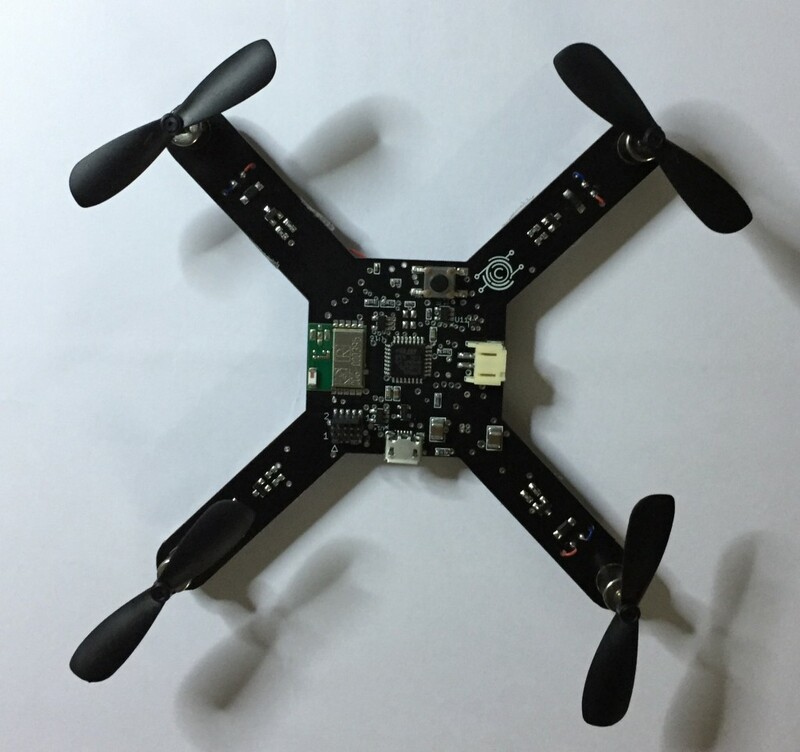 The Main elements of the drone board would be a small micro-controller, bluetooth radio, accelerometer, gyroscope, compass, jtag port for debug, 4 pwm’s, led and reset switch. 4. The battery of this board when in air should last for minimum 15 minutes. 5. As a first bringup goal the drone board should be able to fly till small altitude. Next we start the electronic design. 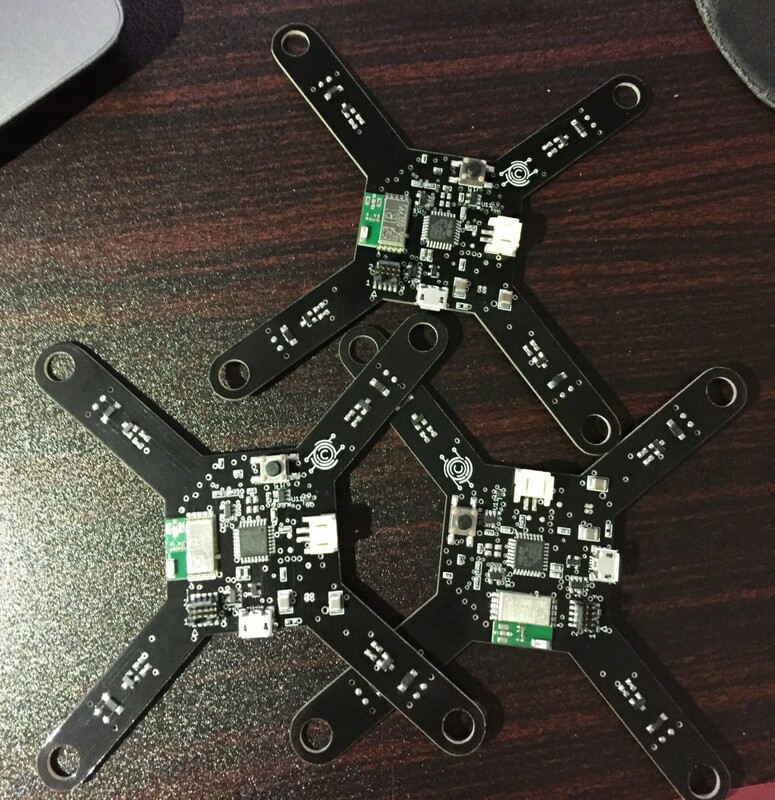 We chose circuit tree design to first look at the list of controllers which can be used for the drone design. Based on the component avaibility results we narrowed down to stm32l052k6t6 from st micro electronics. Quickly the components were selected as shown below and a block diagram generated. We did wait for schematics to generate within 2.5 minutes and within that time did scan the Bill of material file generated from the tool. There are certain discrete components which circuit Tree could not select which is left to the designers to update. 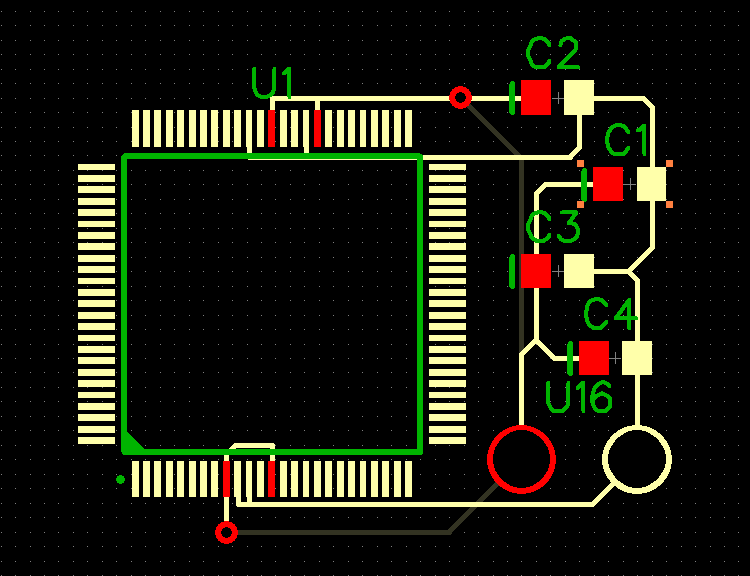 Also in the schematic we have a dummy connector added for Timer pins. The connector is important as it helps in allocating the micro-controller pins for the Timer/PWM. The intent of using Timer is to allow mosfets to be added to these pins to eventually allow motors to be driven. Next we click on the layout viewer to select a dxf file and check if the placement dxf outline is correct. Next we fire the background process to generate placement. The algorithm shows that the components can be fit in the given board dxf file. It is time to define the board boundary restriction so that the algorithm can rerun and produce more symmetrical placement around 4 weeks. We would keep updating the blog as we get the results. Here is the Git hub link for design files for the drone design. 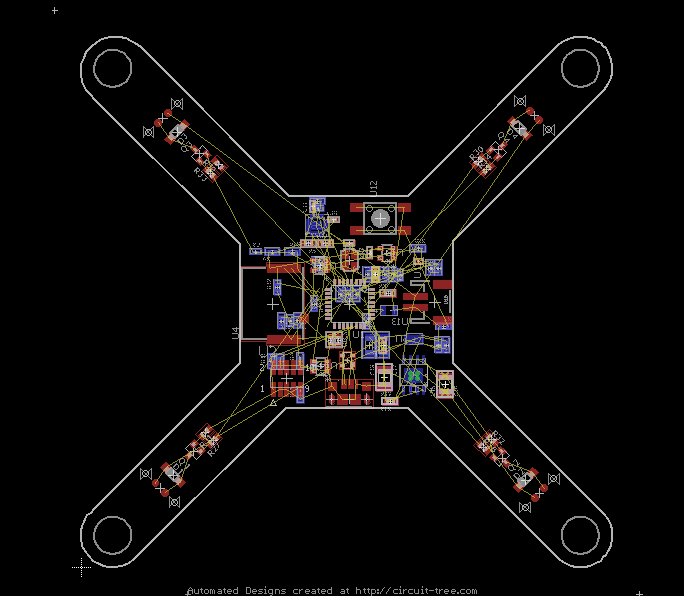 Muneeb started working on the eagle downloaded design to add motors pads and mosfets to the design. He is one of smart engineers we have on circuit tree who took the design and first started to review the design and compare the output of circuit tree with the stm-cube tool output. Once we was happy with the output it was time to change the connector page to add the motors pads and mosfets as shown below. The only change he had to do in the downloaded eagle schematic file was to change the grid to default. Updating dummy connector page with motors pads and mosfet. The next check for him was to check if the eagle ERC was displaying any errors. No errors were found but number of warnings were observed stating two similar named nets are connected to one another. After a check it was time to see if the the circuit tree board file can get newly added components(mosfets and motor pads) in the placement. He further customised the placement file to meet his requirement. We have released the board file for fabrication and assembly. Eagerly waiting for the first circuit tree design to come to life. 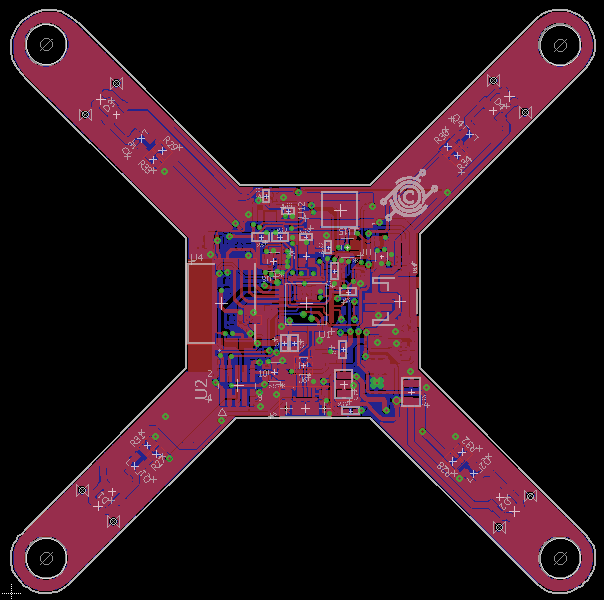 drone pcb design with ground pour. 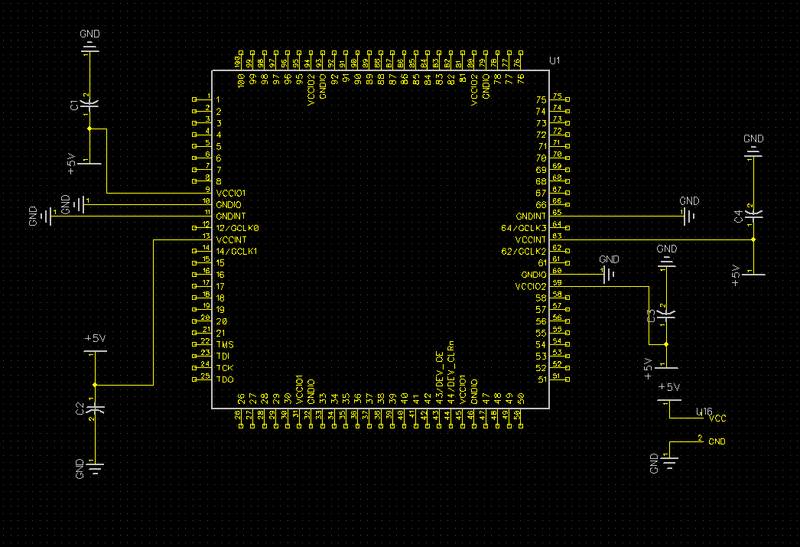 Released schematic and Board file is available in our github repository . Stay tuned to know how we progress ahead with this design. We cannot control our excitement. 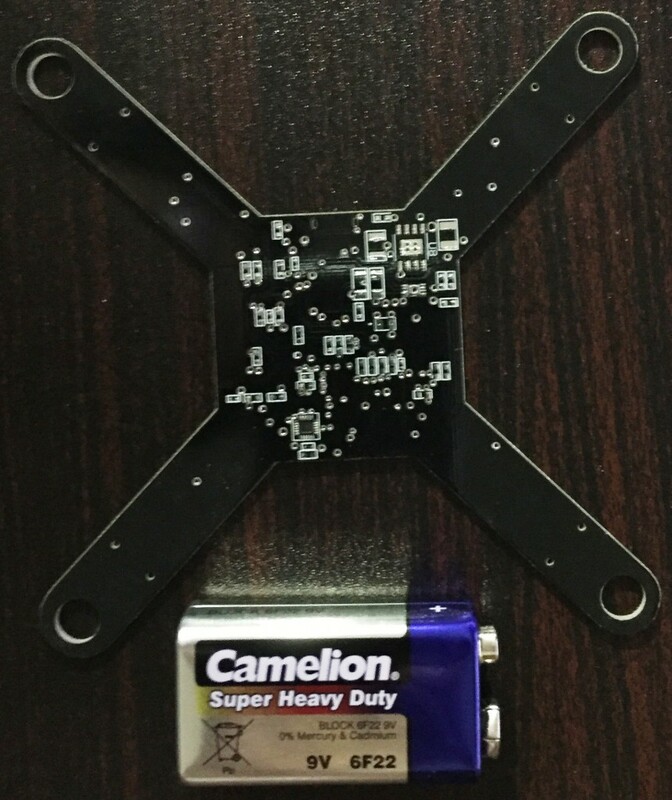 We just got the pcb fabricated from china. There is a minor issue with respect to the via tenting which the pcb vendor did not make despite being in the requirement. 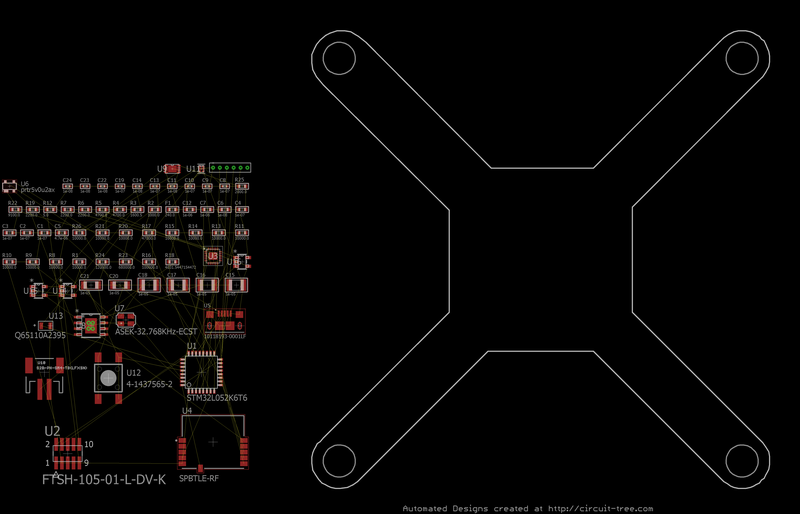 Components have been ordered and now the pcb assembly starts. Looking for a healthy board bringup without any wires. Here are the set of assembled boards designed through circuit tree. Board bringup’s are always interesting milestone for a hardware design engineer as we spark new life into a element. Power short check shows no issue so far. Note there are no overlapping components. So far so good. It is late in the evening will do the bringup tomorrow with a detailed test plan. Picture of the board assembled with motors and power test. Board was first tested for open short test. The board was powered with usb cable and then the main board voltage was found to be 3.29v. Great work so far. Powered the board through the usb cable connected to a laptop. All voltages are good. Connected the st micro to ST-LINK/V2 through a custom adapter cable as the connector on the board was incompatible with the pitch of the programmer. Detected the stm32l052 device on the programmer console. Programmed a code to drive the motors through the mosfet. Next connected the battery on the board after switching on the board. Result is as shown in the video. The right side of the drone had more lift compared to left side. Really happy and satisfied with the result. The next steps would be to connect the board through bluetooth to power on and off the board using laptop bluetooth control. Also we would interface with all the board sensors to get the real time data. The good news is that the most of the hardware functionality is working as expected. 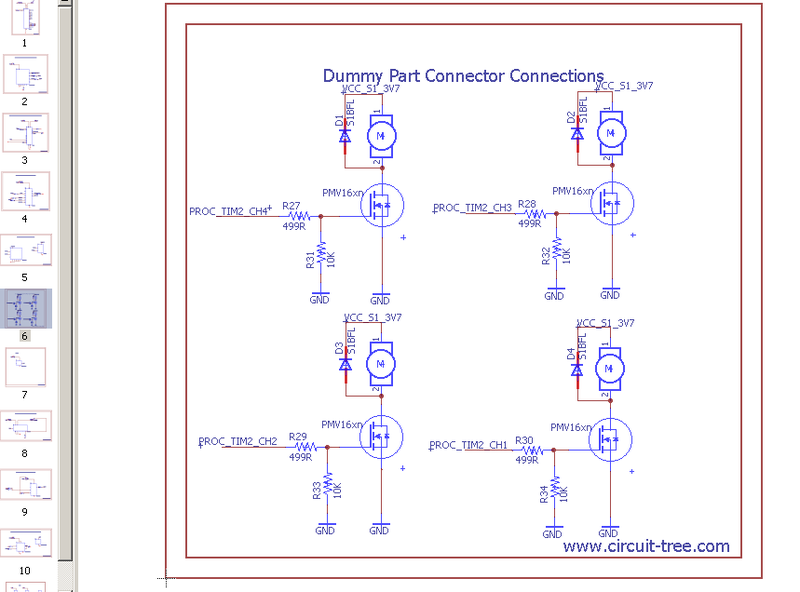 Circuit tree application has designed a board which is reliable in short span of design time. In hardware design lots of items have to tick right and circuit tree has just shown the capability. The next update would be in few weeks when we have created the software. Here is another update to the drone testing. In the video below you will notice that Bluetooth and a application layer is running on the drone which allows turn on and off of the left side and right side motors. You will also notice that we had to connect a wire on the board to connect the stmicro with the bluetooth transceiver. This wire was added to allow the software to reset the transceiver as needed. This is the option which would integrate in the application. This is a good learning we have had. In the next update we would share the application software used for the development which would be free to use. Thank you for reading through the long post. 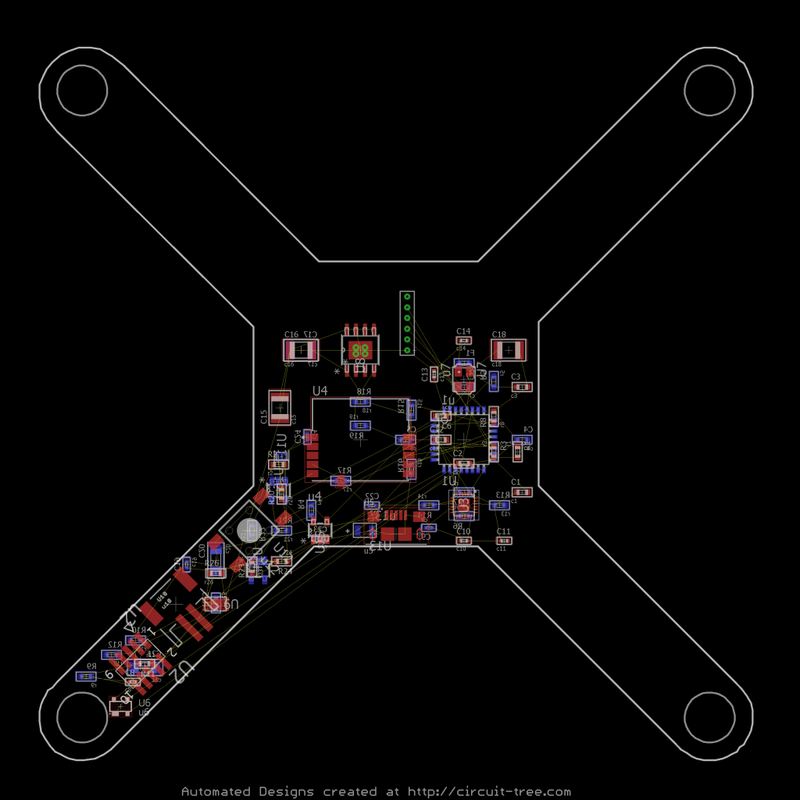 This entry was posted in Business, Development, Development Boards and tagged auto placement, board bringup, board design, Component footprints, drone, eagle, layout, schematic, stm32l052 on September 10, 2017 by Makarand Kapoor. Here are few pictures which tell a story of how most of the circuit board design software’s doing a component placement job. The placement Picture shows how badly the CAD tools have badly messed up placement. With bad placement the objective of placement of capacitors closer to the device stands nullified. It is important that decoupling capacitors are placed closer to the power pins of the device in correct orientation with the shortest path possible with thick traces which can offer lower inductance path for the current flow. Placement of high speed components around on the board to minimise noise and get good signal integrity on the signals. Hence most of the designers prefer to perform the component placement of the board and then use or don’t use auto routers for quick layout. What the circuit is all about? It should know what are components, power, clocks, reset, high speed circuits, smd/through hole footprints, constraints? Without this knowledge any placement engine output is just not complete. 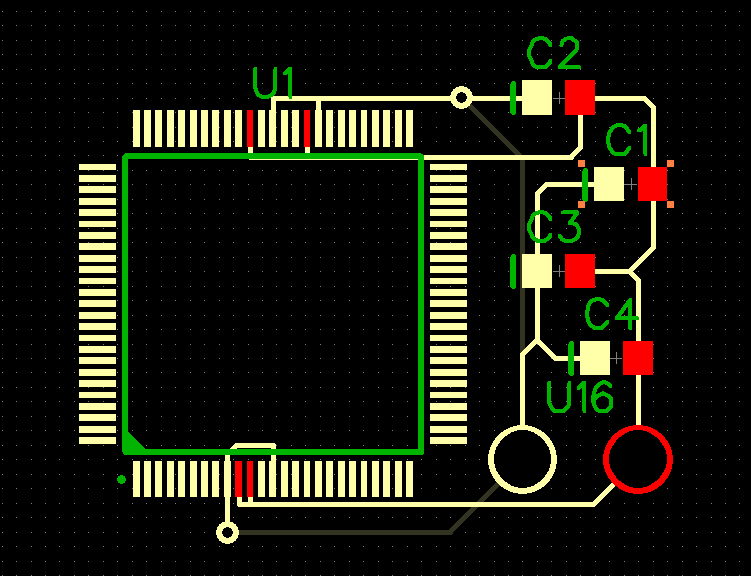 It should understand the board outline, placement constraints, pcb layers. It should understand netlist which most of the routers use for current optimal placement. All components are placed so that the nets/traces can have shortest distance between the device and receiver. At circuit tree we care about this problem and are working to solve this problem. We believe that by offering intelligent part placement of our design solutions designers can use auto routers or manually route the board to significantly reduce the time it takes to complete the design. This new feature is under development and showing promising results. Stay tuned to know when we start offering this exciting new feature. This entry was posted in Business, Development and tagged auto placement, layout, schematics on April 21, 2017 by Makarand Kapoor.